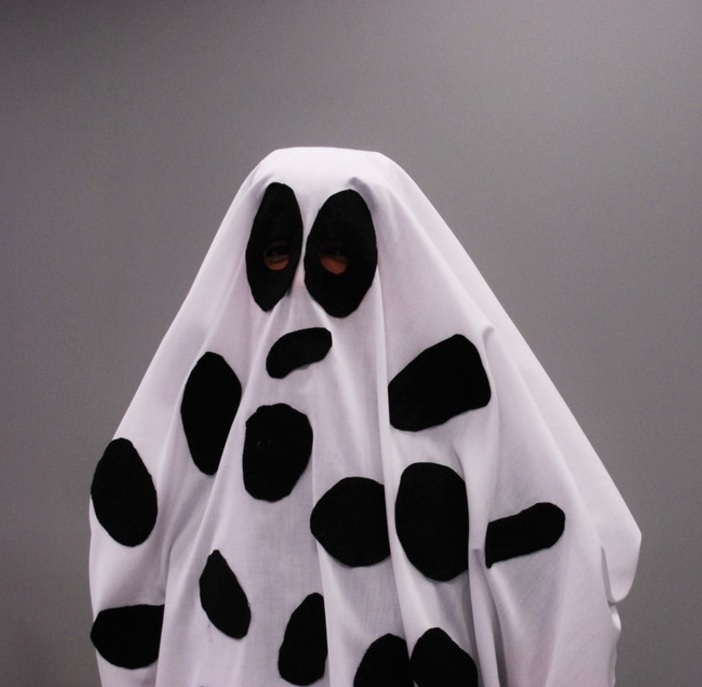 Whether you are trying to whip together a Halloween costume at the last minute or are just a fan of DIY, you’ll be amazed at what you can create with only a bedsheet. 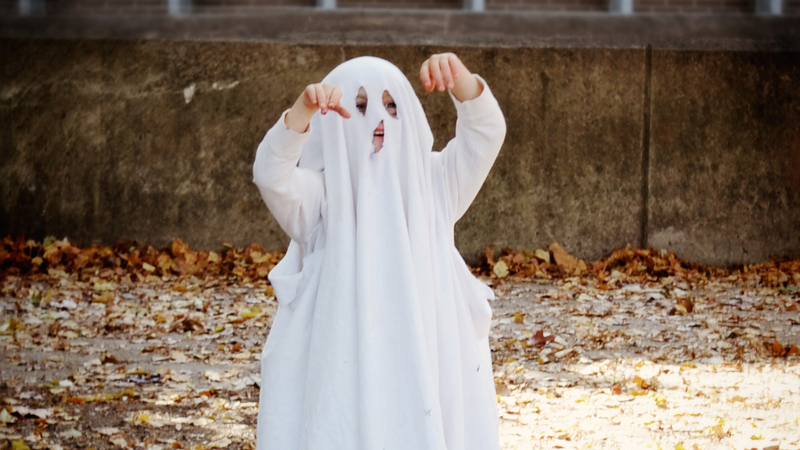 Grab that extra set of linens and a pair of scissors, roll up your sleeves and get ready to make a Halloween costume you or your kids are sure to love. 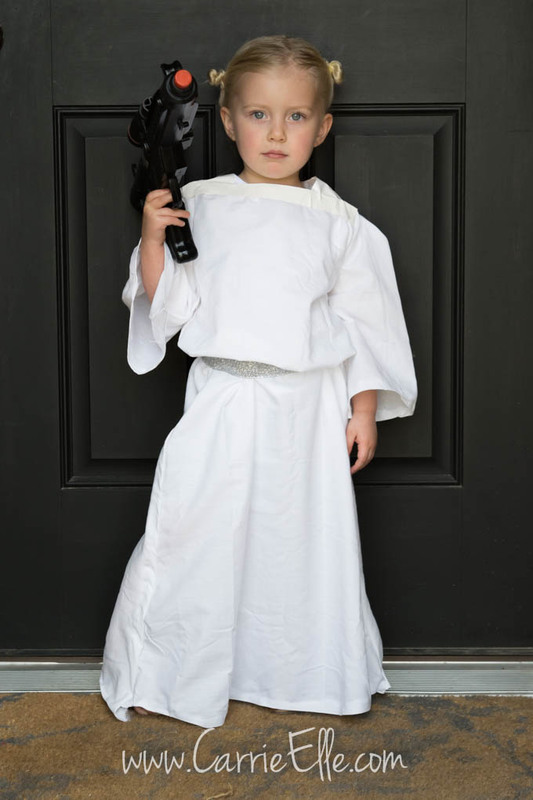 The iconic, powerful and incredible Princess Leia from the Star Wars franchise has inspired many a child as they make their Halloween plans. These no-sew Leia costume instructions from Carrie Elle are exactly what you need if you have a white bedsheet on hand and an eager child interested in a Leia costume. Buns and a pretend blaster complete the getup. 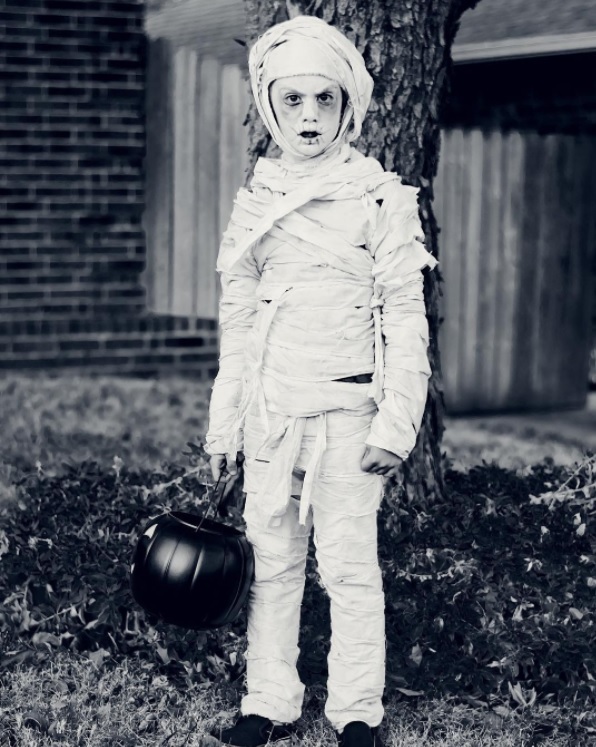 Sure, you can wrap your kid up in toilet paper to create a great mummy costume, but instead, take a bedsheet, tear it into strips, and wrap them around your kid (or, like pandabeara from Instagram did, sew them all together and spray them with tea for a weathered look). A little costume makeup completes the ensemble. 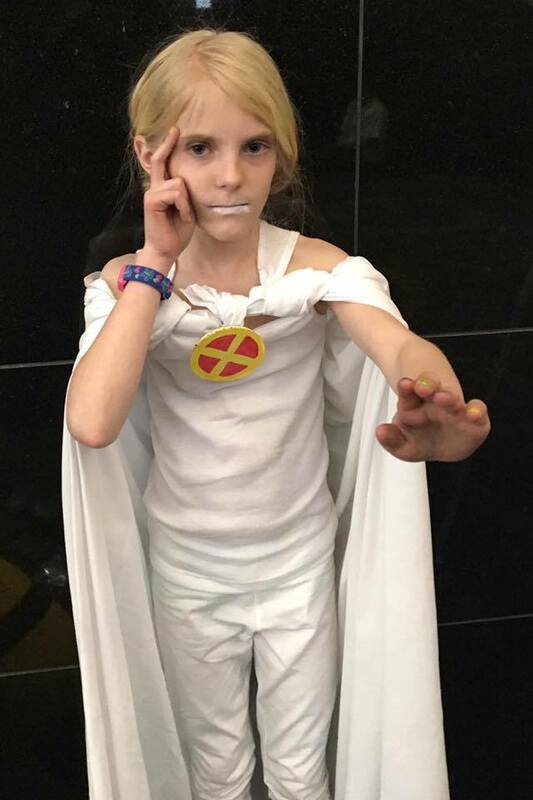 A bedsheet can easily transition to a cape if your child wants to portray Emma Frost from X-Men this Halloween. This clever dad, known as Cosplaying Dad on Facebook, paired a white pair of pants with a white tank top for his daughter’s costume and completed it with a cleverly cut and tied white bedsheet to form her cape. 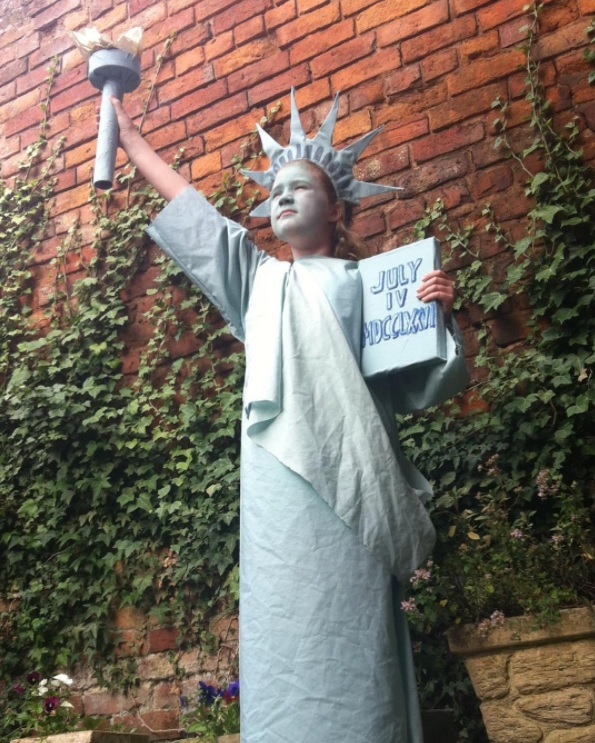 A green (or blue) bedsheet can instantly transform your child into the Statue of Liberty. Some green face paint, a crown made out of a paper plate and a pretend torch, and your kiddo is ready to march down the street for liberty — and candy. 5. Up, up & away! If you have some colorful or patterned sheets lying around, make a superhero cape or two for the perfect Halloween costume. 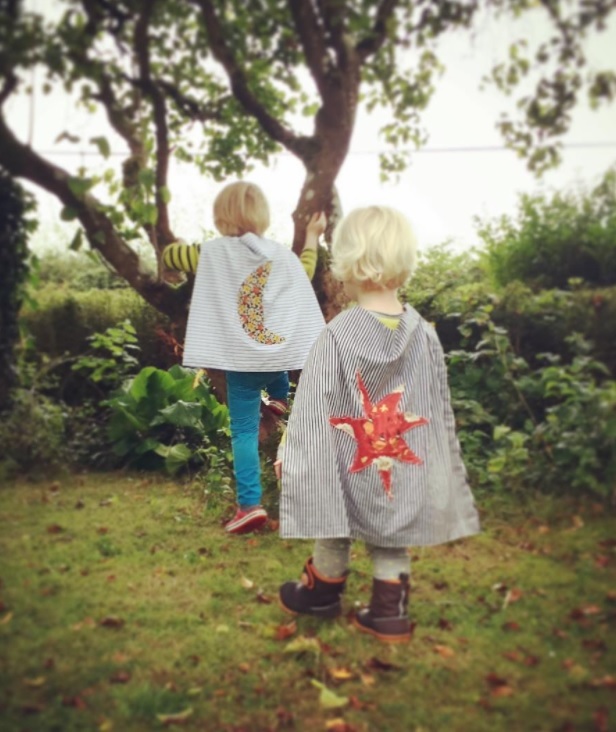 These instructions from Skirt as Top provide an easy tutorial (although she uses fabric in hers, a sheet would work just fine) to create a personalized cape for all of your superheroes. 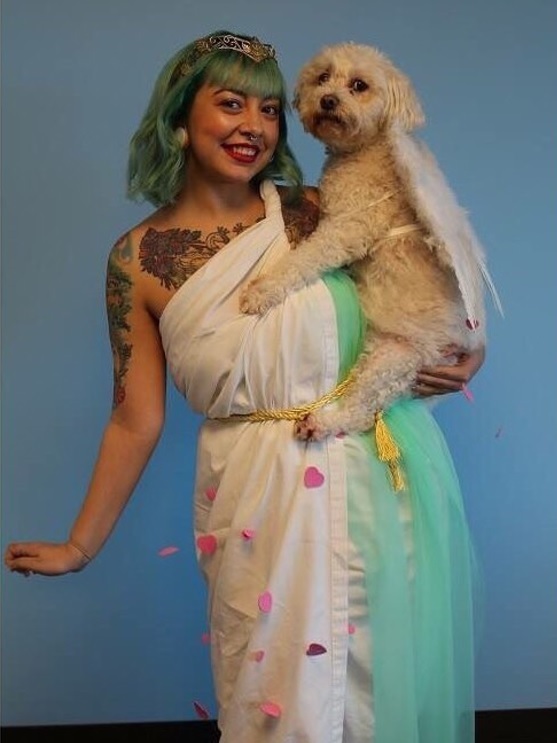 Whether you’re after a specific Greek goddess like this gal (who was channeling Aphrodite) or simply want to don a toga-esque Halloween costume, a bedsheet will do in a pinch. Neon here wrapped herself in a bedsheet and added a few extra touches, like a bit of seafoam tulle and a simple rope around her waist. 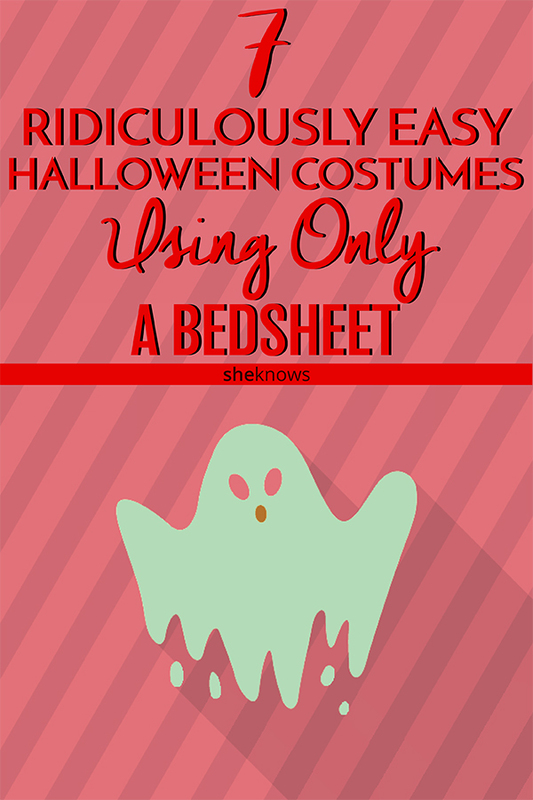 We couldn’t do a bedsheet costume roundup and leave out the traditional ghost costume. However, instead of simply cutting out two holes for your child’s eyes, take some inspiration from the Halloween classic flick It’s the Great Pumpkin, Charlie Brown. If you remember, poor Charlie doesn’t quite get the hang of cutting out eyes, so his bedsheet winds up with eyeholes all over the place. For your little ghoul, affix black pieces of felt or fleece to get the same look. Pin this for later and make Halloween stress-free this year.